Hello, I'm Autumn but you can all call me Autie. I'm a big fan of Sunset Shimmer and my love for her will never die as well as my love for shipping. I love writing fanfics as much as the next person. Chaos and Magic Info: IMPORTANT! I keep having to tell my commenters saying that my story is briefly based on Bride of Discord. That's because it is, I do enjoy the comments I get but Chaos and Magic is my own story. I absolutely love DF and her fanfiction, it's one of the things that keeps me in the MLP:FiM fandom, but stop! I'm proud to announce that this account has a new username! In case you didn't know by now, I'm a big Sunset Shimmer fan. Although I did like my old username, but my Wattpad username has been different for quite some time now so I wanted to change this one. So, I'm now SShimmerFan2. Update for Chaos and Magic! Sorry for being gone for so long guys, I've been really busy with school and family life. But on a better note, update for Chaos and Magic. 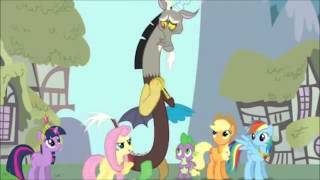 So Close PMV with all my MLP OTP's.